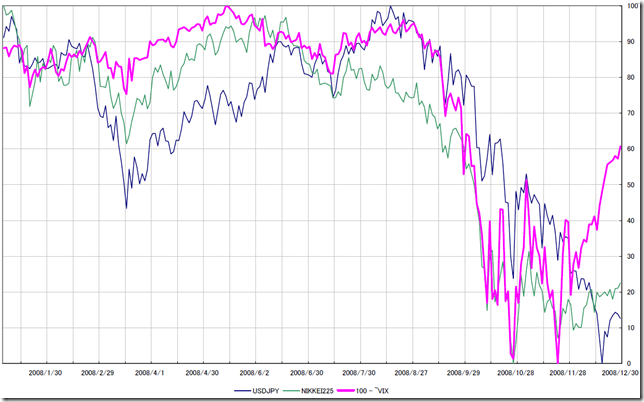 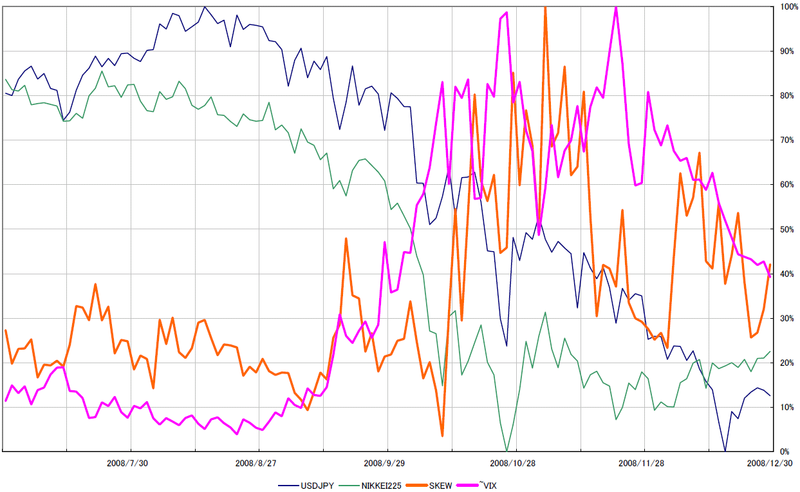 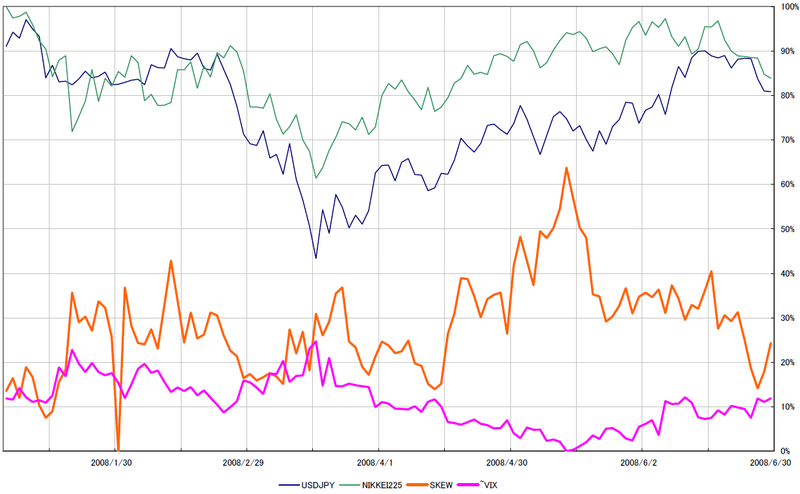 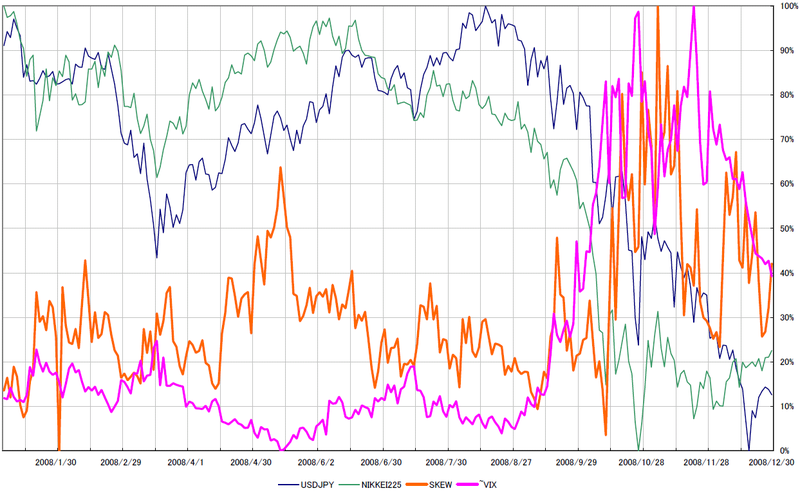 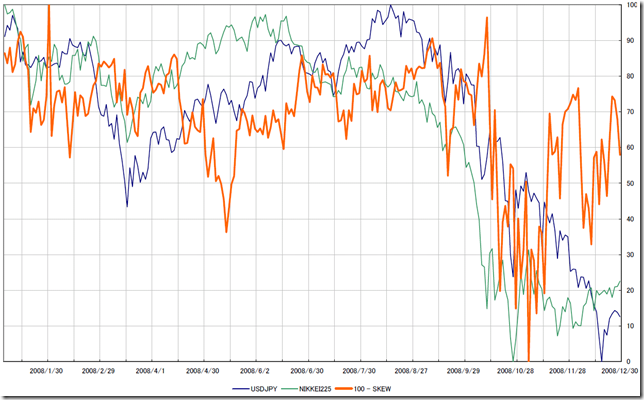 2008年のスキュー指数分析/How to watch SKEW index in 2008. 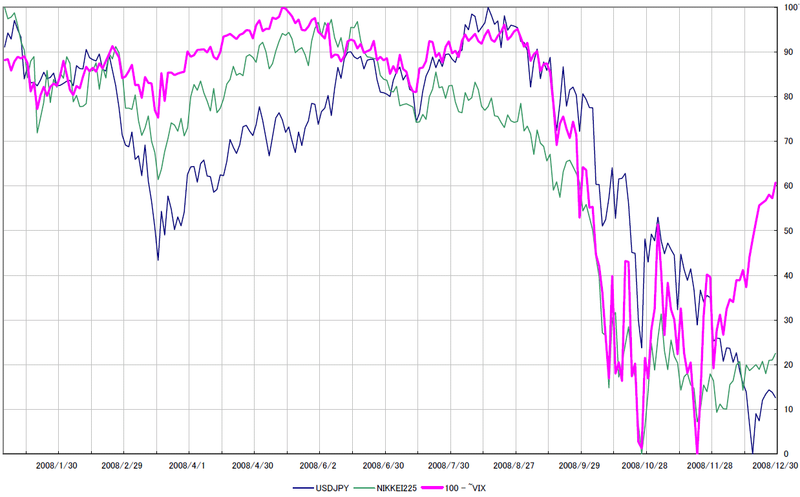 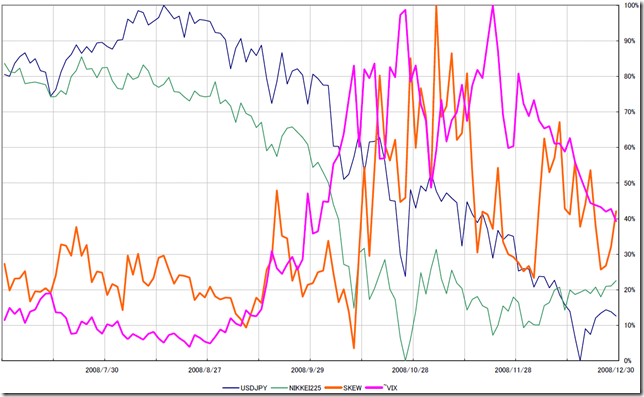 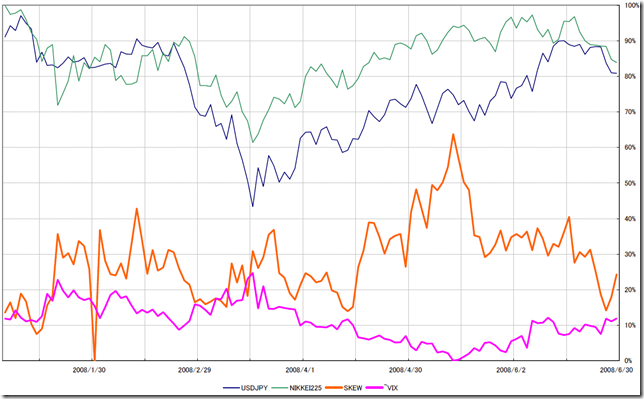 We normalize VIX, NIKKEI 225 and Dollar/Yen in 2008. 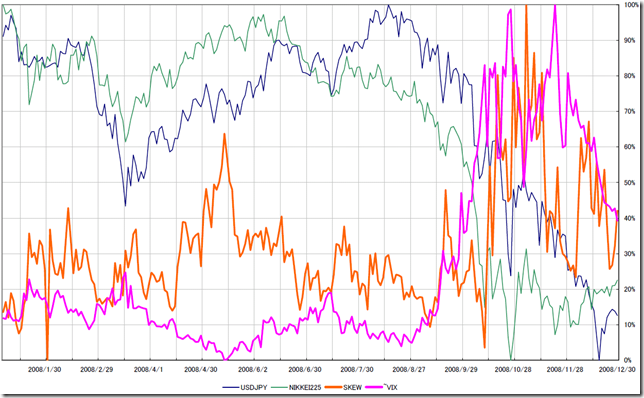 VIX and SKEW values are reversal. 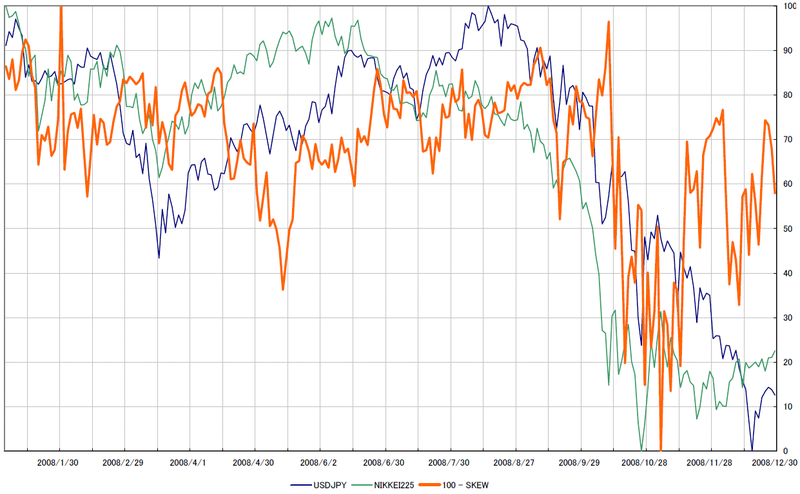 We can better to see correlation.